The way we look at our reality is constantly changing and I am not talking about our ever-evolving landscapes, feelings and emotions that link us together in the here and now. No, I am actually talking about how our reality is becoming ‘virtual’ using marketing. Virtual Reality, or VR for short, is the new “it” word, not just in gaming or film, but in marketing and predominantly, experiential marketing. Companies are pushing the boundaries to create an experience for customers that not only visually puts them in a new world, but also adapts their physical surroundings to incorporate an extra dimension. To give you an idea of what virtual reality is, ‘virtual’ means near and ‘reality’ is what we actually experience, which combined creates ‘near-reality’. Our senses create real life reality by sending sensory information to our brains, with virtual reality using computer-generated environments to trick our sense. This is normally in the form of VR headsets, but these have been combined with smell, wind and movement to create a ‘sense of presence’. Driven by Oculus and their Oculus Rift headset, the availability and development of VR has dramatically evolved over the past couple of years – as examples, Samsung has teamed up with Oculus to use their mobile phones in Gear VR headsets, Google have developed Cardboard, HTC and Microsoft have versions and Sony have developed PlayStation VR to use with their PS4. To widen perspective, in China the VR market is expected to reach $860 million in 2016, but by 2020, will be worth $8.5 billion. Immersive– users wearing a headset are completely immersed in the content meaning fewer distractions and more attention on the message. Impactful– the intensity of a VR experience is greater than traditional media generating strong emotions in its users which are linked to real behaviour change. Memorable– our brains are built to remember events linked to locations, this means that VR experiences have a longer trace in the audience’s memory. Novel– with high media and public interest in VR early adopters can benefit from favourable media exposure. 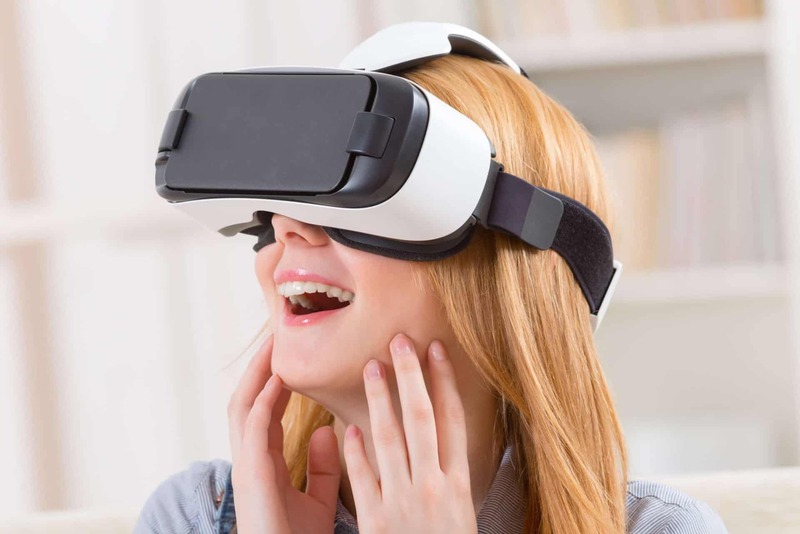 It is obvious that virtual reality is becoming more influential than ever before, with brands using VR to immerse their customers in new worlds and concepts involving their products. Furthermore, as more brands adopt the technology and invest budgets into it, the customer experience is only going to get more immersive and imaginative than ever before. Written by Sam Lovell, Client Service Manager.